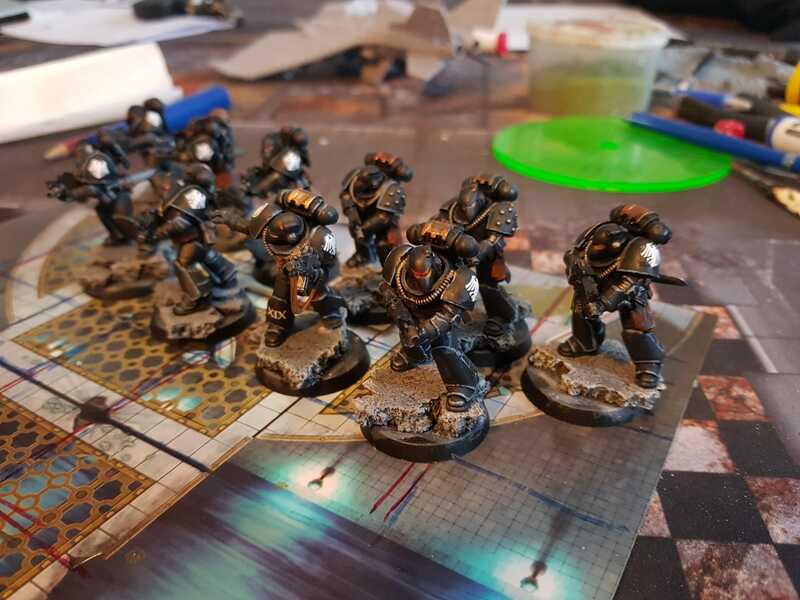 I made a decision to start third (and again "final") project and Raven Guard was rather Natural choice. This is where it all began. 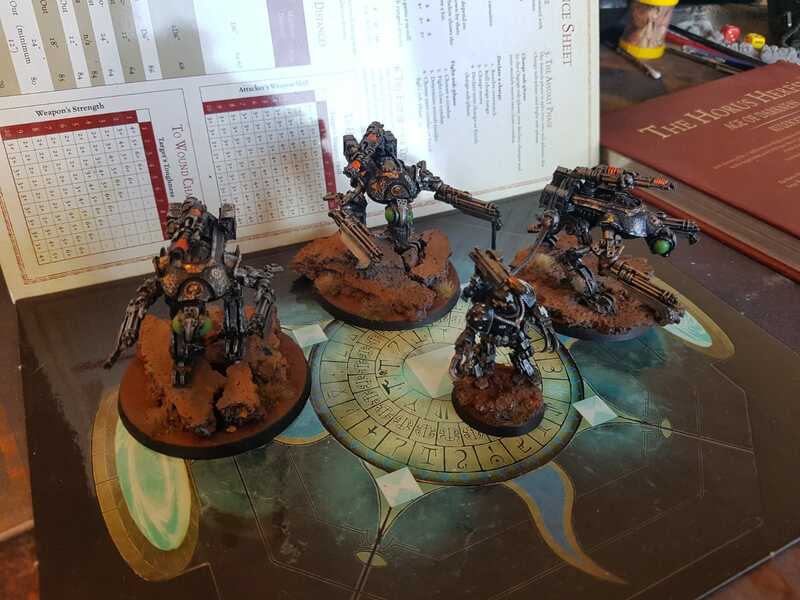 Im gonna have 1 unit of mk6 tacticals. Decided later to go with Phobos - looks better. 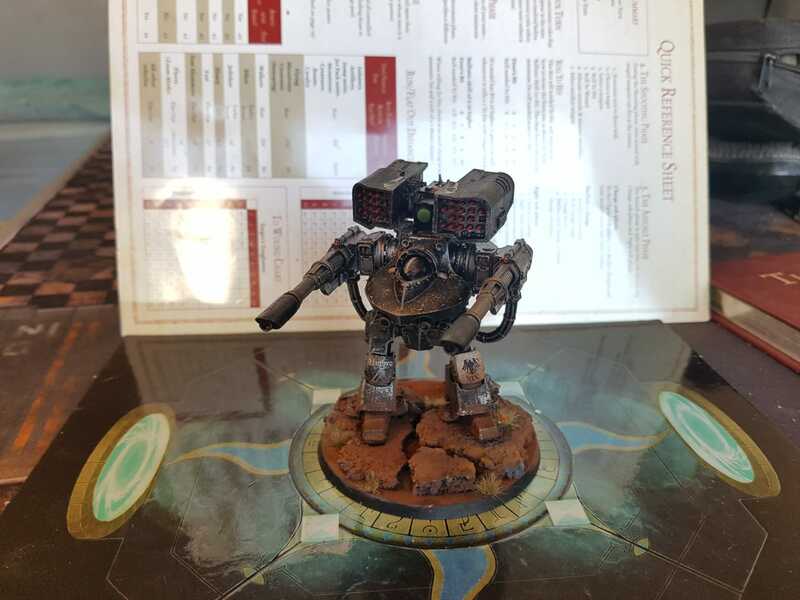 Gotta have Apotechary with the group. Two Predators Join the force - probably gonna paint them next. List of model comming up for the project. 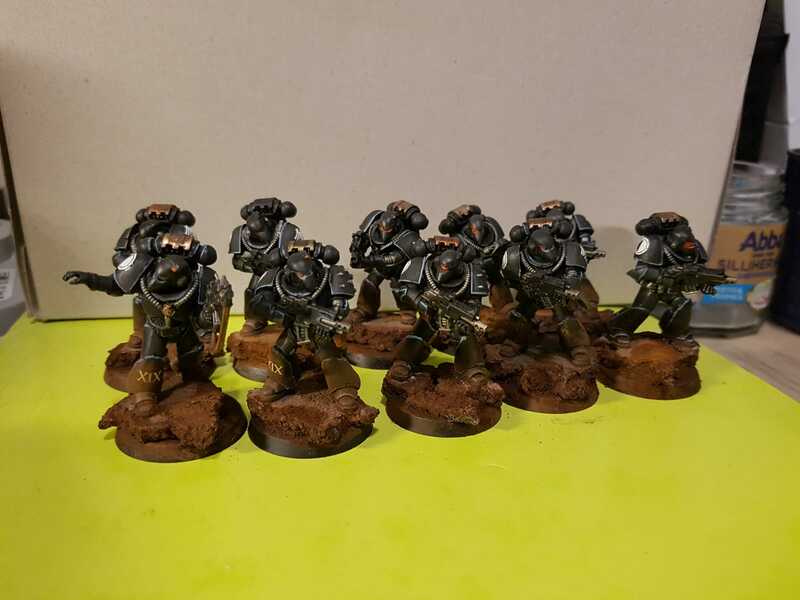 10x Mk6 Tacticals - possibly 10 more. 1x Damocles Command Rhino probably. 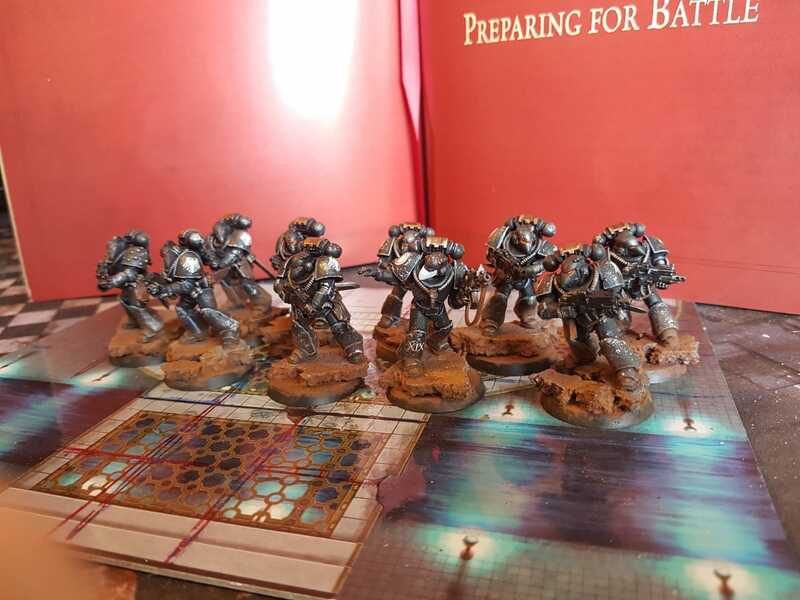 Militia / Other legions will support this project with Castellax, Voraxes painted neutral theme. Edited by Mekol, 11 February 2019 - 11:04 PM. 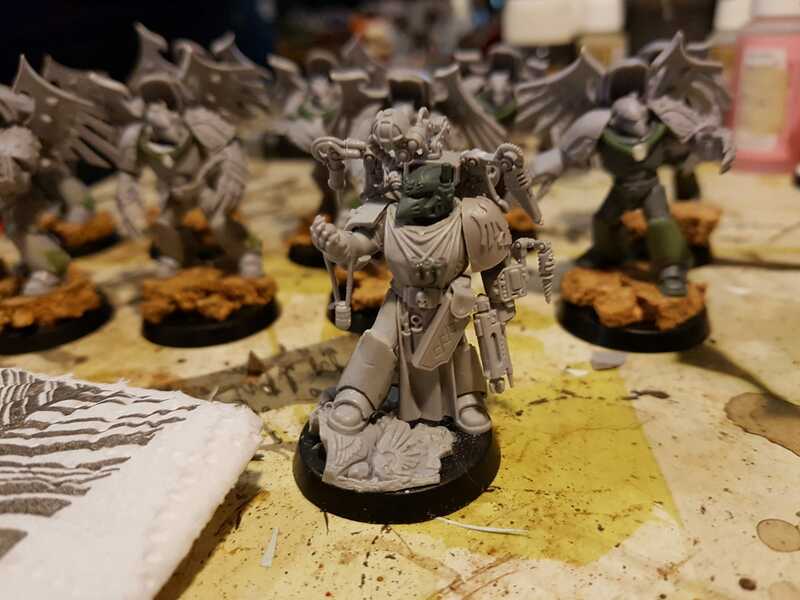 Gederas - iv seen much, much worse Primaris model is pretty much the same, Gotta have swag if you gonna do stuff anyway. 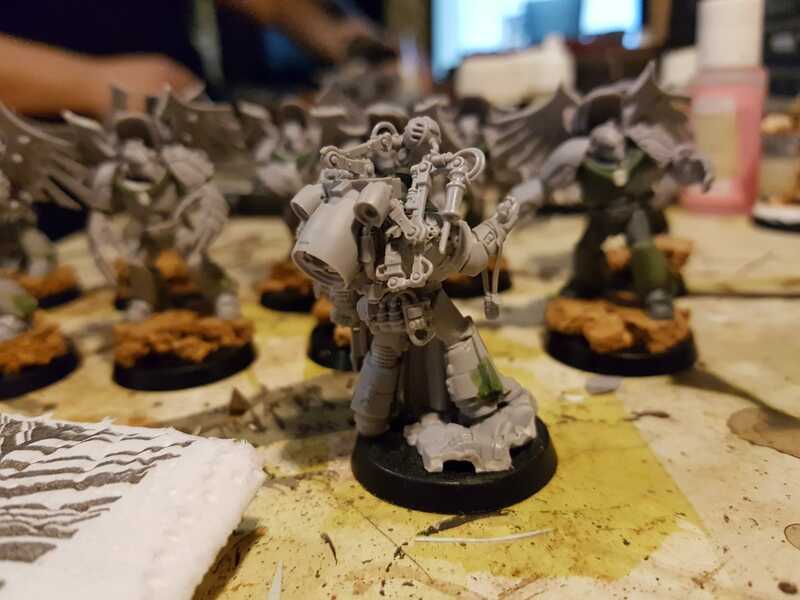 I didn't even realize they were Primaris until I saw the apothecary. 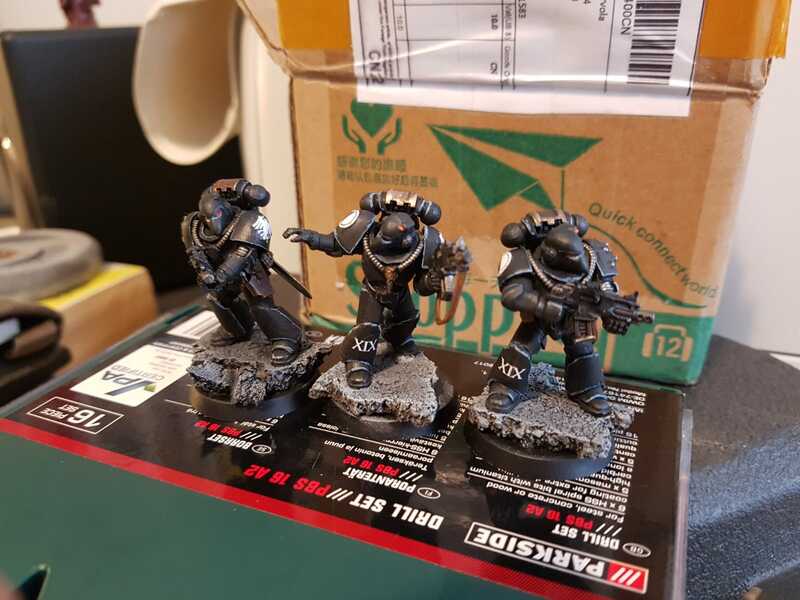 How did you do the legs on the mk3 marines? 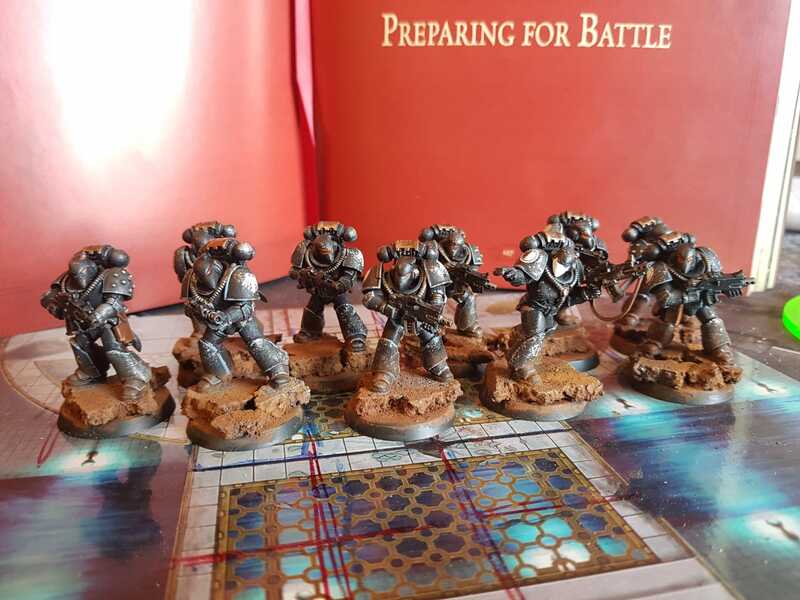 Really solid work, particularly on the Furies and painting of the Lighter and bases. 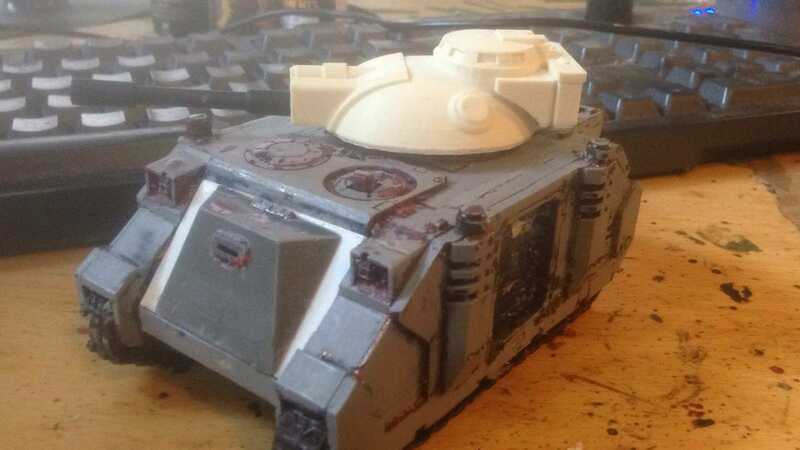 How did you make the predator turret? Edited by ranulf the revenant, 12 February 2019 - 02:41 PM. 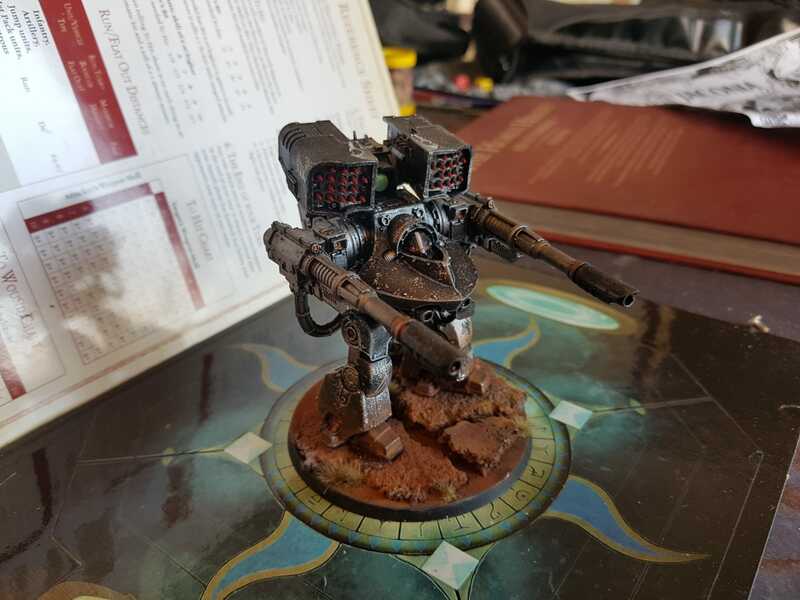 Cryptix - legs are CSM terminator legs. Just remove all the chains, and some magic with GS. Removing those smaller panels and start is really frustrating but pays of. I only did like 5 in a way i was really happy. 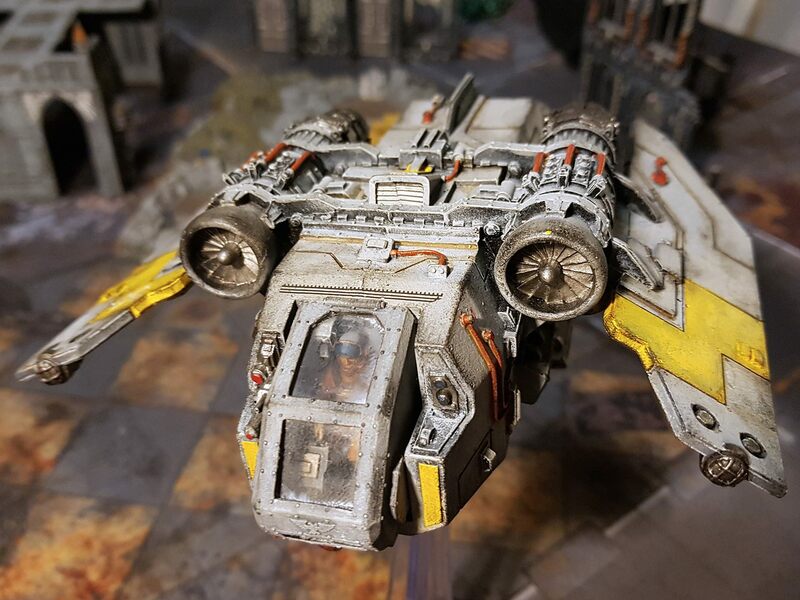 Pearson 73 - Predator Turret is 3d printed. Wanted to test it out. Had some mk1 rhino front doors doing nothing and vola. Its ok - undercoat will hide most of the layers but mostly i just wanted to this this whole new thing to me out. After 4 - 10 years more people will have devices like these. 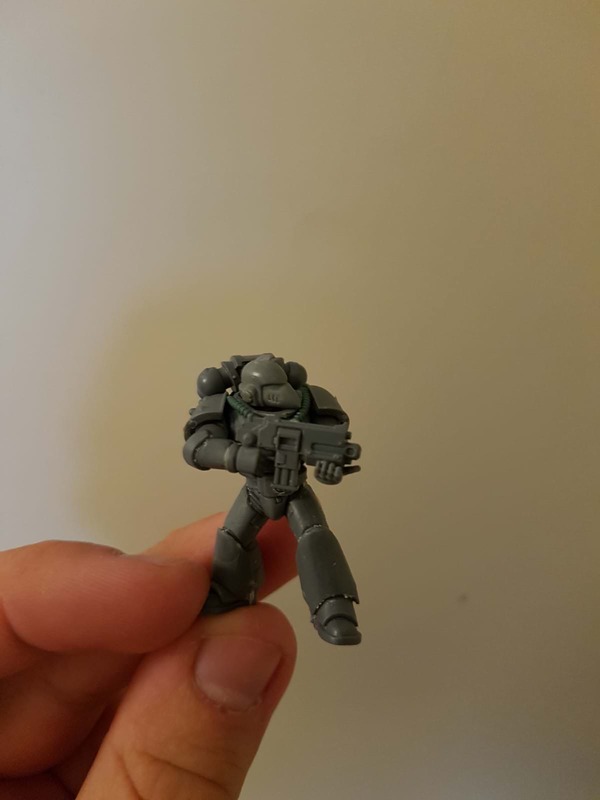 Ranulf - Yeah primaris legs are the answer. It is rather easy, not that time consuming but really monotonic work to convert them. One thing you need is cable roller from GSWorld to help with the cables. Edited by Mekol, 13 February 2019 - 10:30 AM. Edited by ranulf the revenant, 12 February 2019 - 06:50 PM. 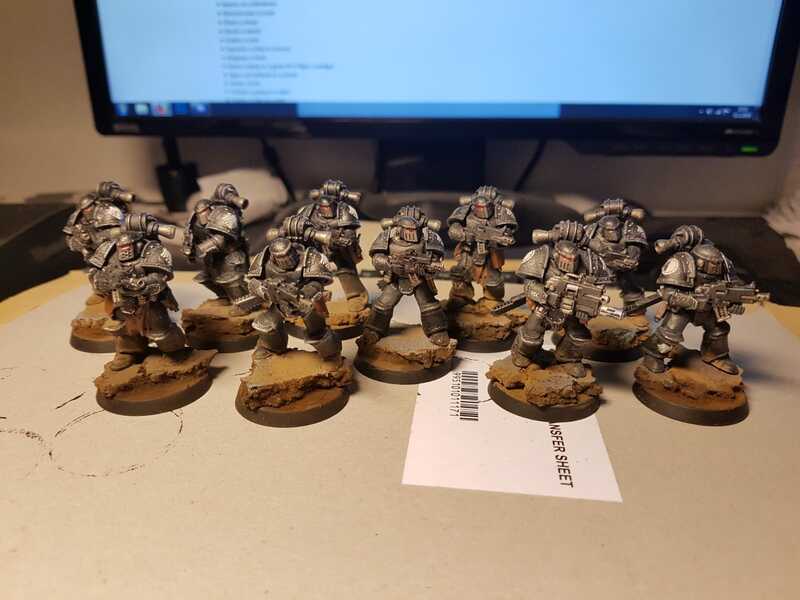 Started paiting my Mk6 marines. Still wip. But fairly happy how they turn up. 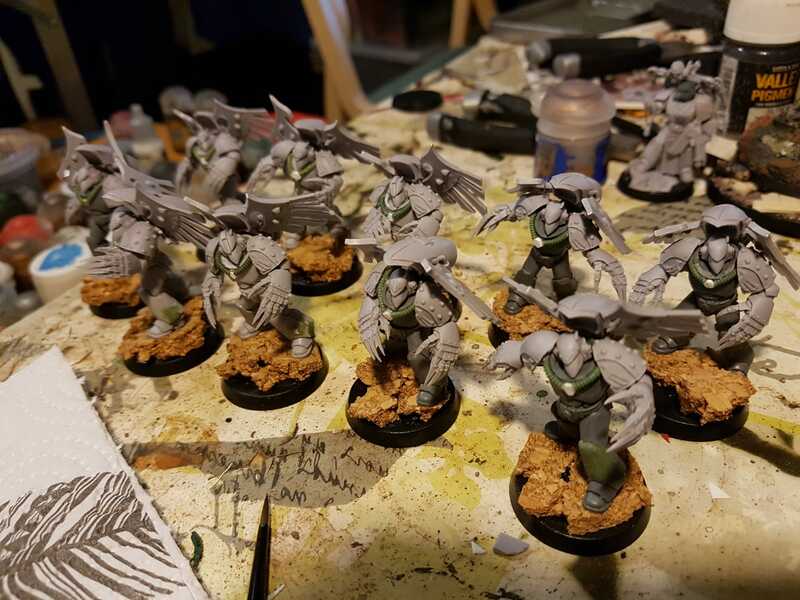 Just think RG theme is one of those legions that tend to look (in my mind) unfinished until pigments. Some other projects tend to "feel" ready much quicker. Some nice clean paintwork there, I look forward to seeing more. 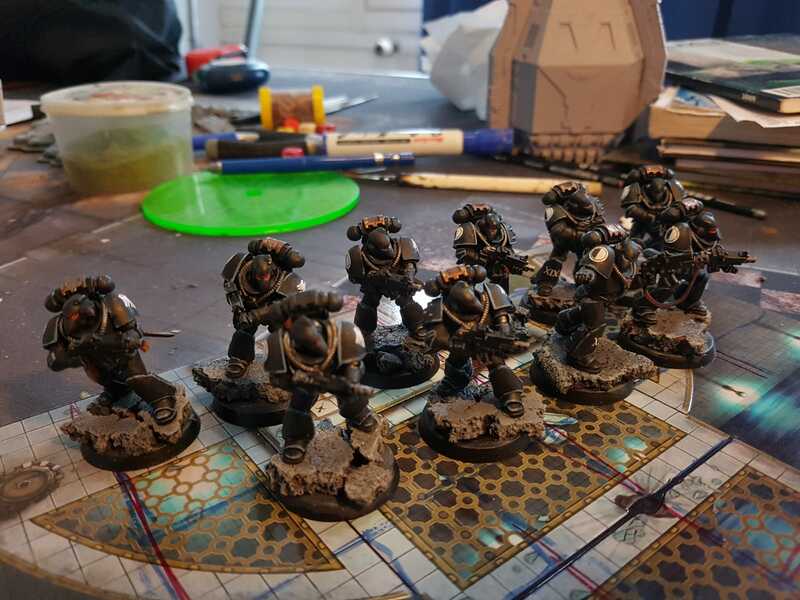 Second squad slooowly takings its shape. 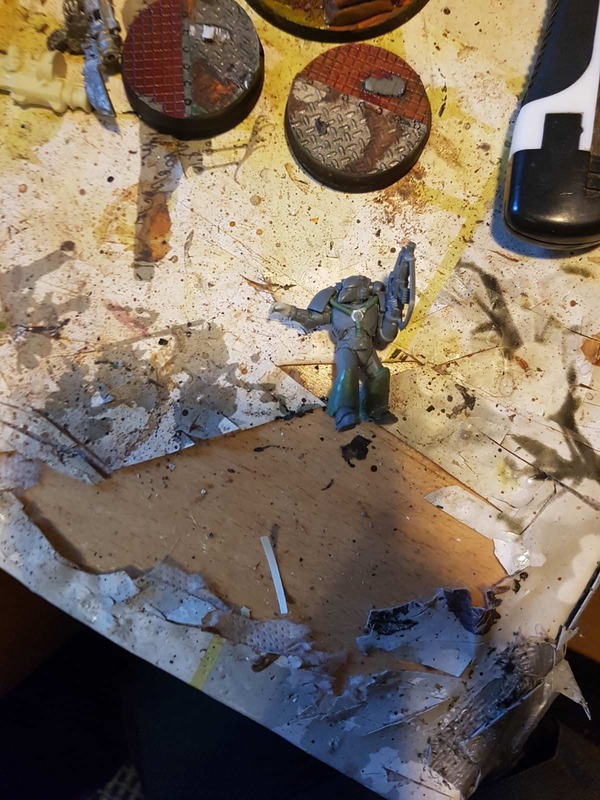 ILame Pappa Nurgle blessed me random virus and only thing I have been able to is some painting. 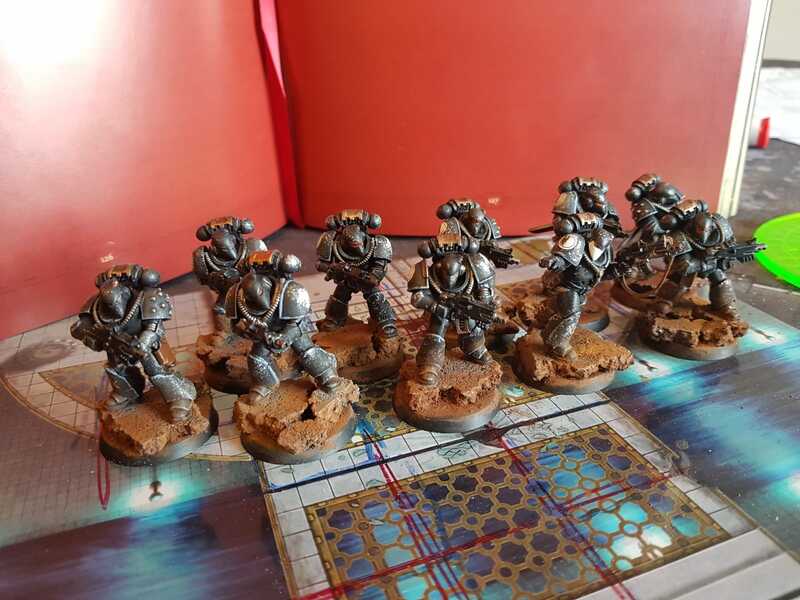 Like with the previous squad i think that after battle damage I am happy with the results. Few photos before and after pigments. Edited by Mekol, 08 March 2019 - 01:22 PM. 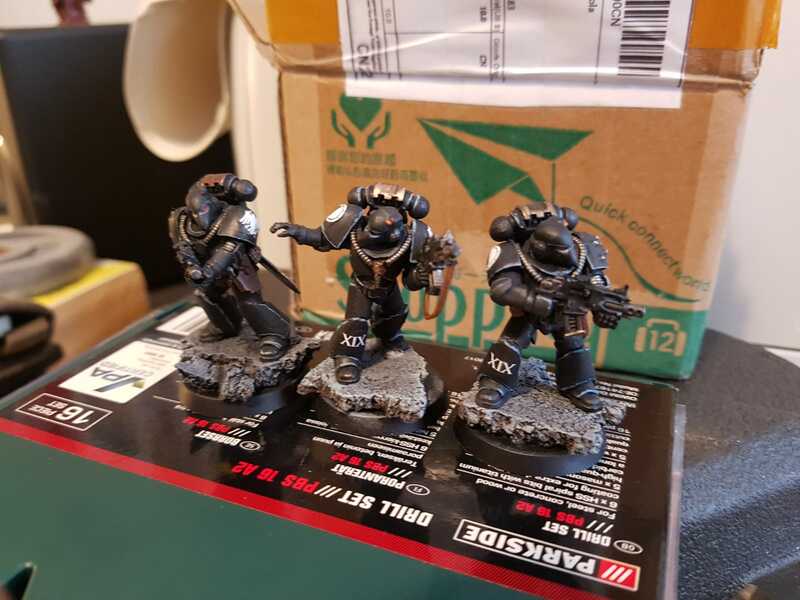 Absolutely beautiful work on those raven guard they look fantastic. Solid work, nice weathering up from the base onto the shins. 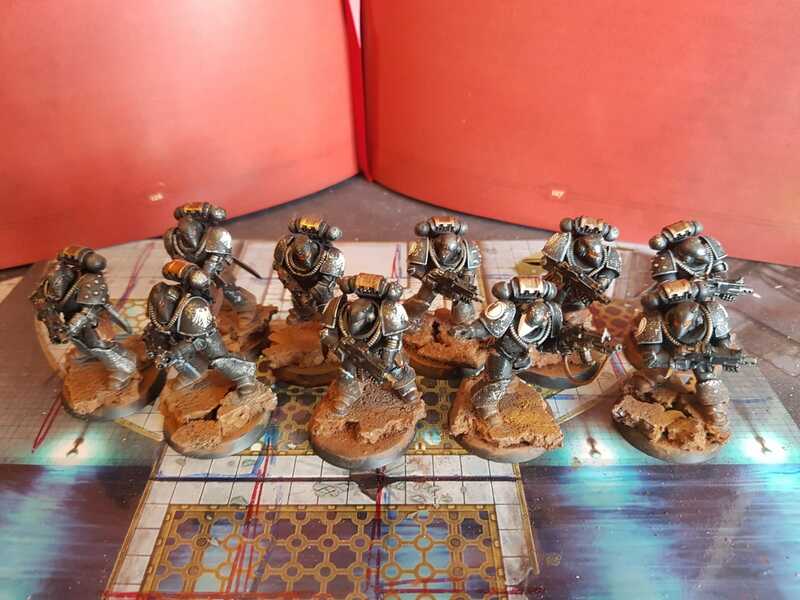 Final Images of mk6 squad. 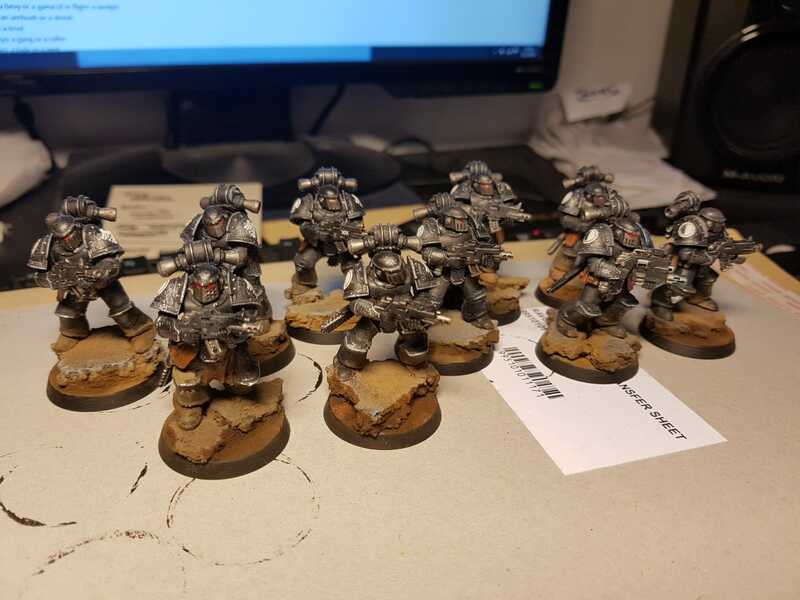 Did some light / heavy battle damage to armor and I call them done. 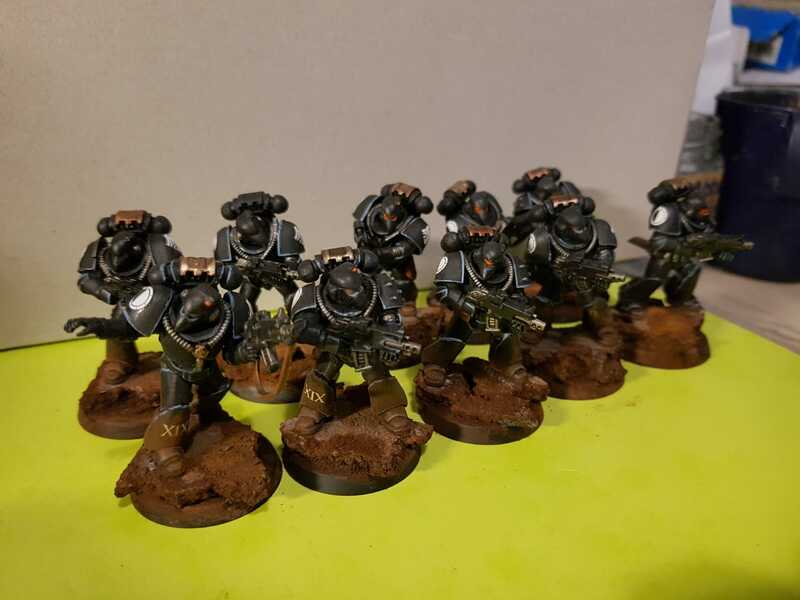 DId not care to take pics after the base clean ups so this is what they end up look like. 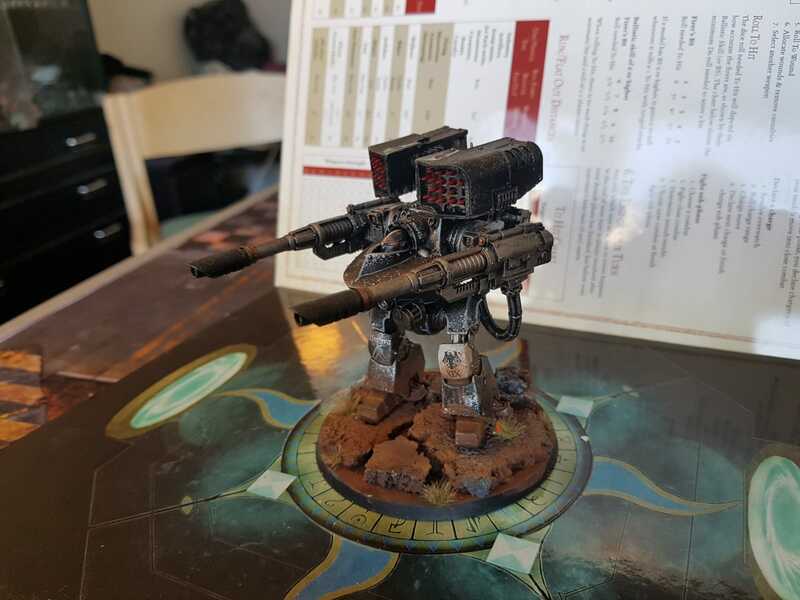 Next time i hope to share some legion "Robots" or a Deredeo. Edited by Mekol, 12 March 2019 - 03:02 PM. Continuing the good work and weathering. 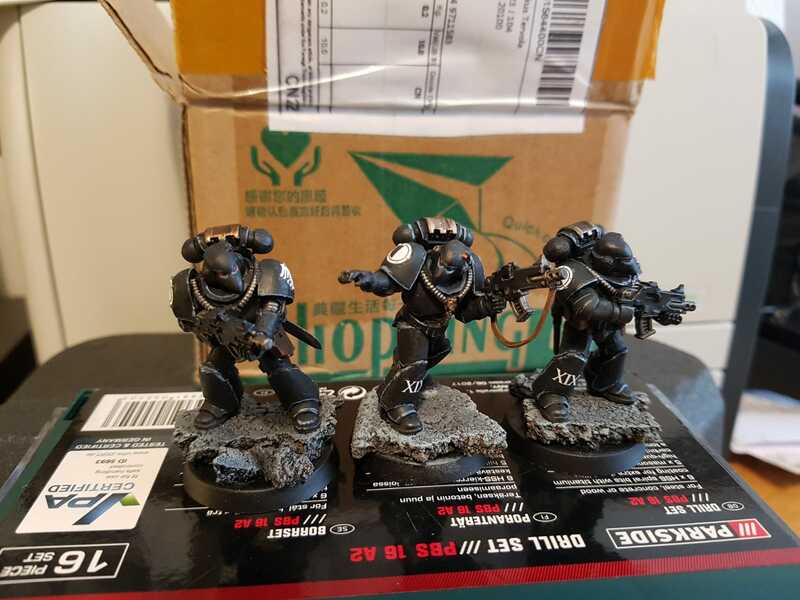 New Toys for the legion. 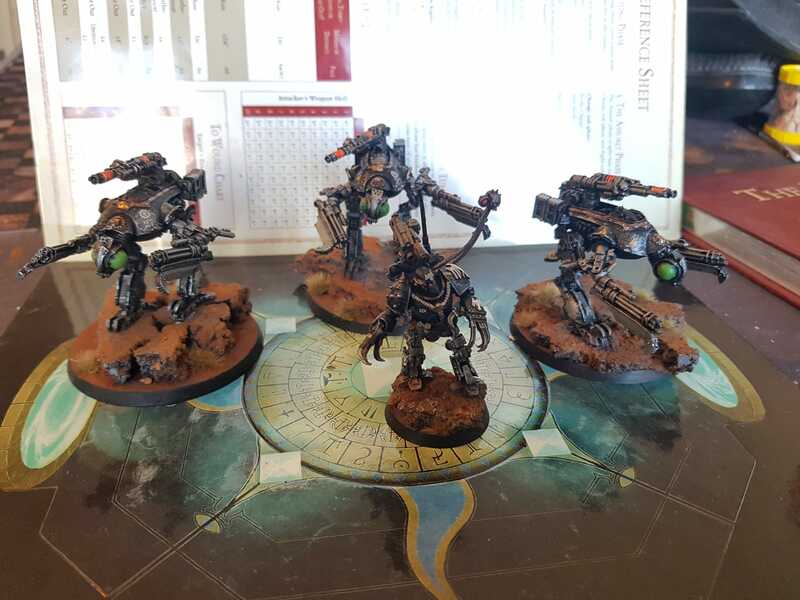 Been paiting kind of lot for the past few weeks and i am fairly happy with the results. Well done. I like the face you weathered his legs with dust matching the colors of the rocks decorating his base.